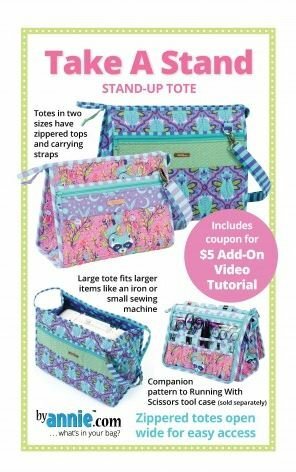 Stand-up totes in two sizes have an easy-to-install zippered top that opens wide for easy access to the contents. Each Take A Stand tote features an adjustable, detachable carrying strap and plenty of room for supplies and more. Two zippered pockets on the outside of the tote and two inner mesh pockets keep everything organized and easy to view.